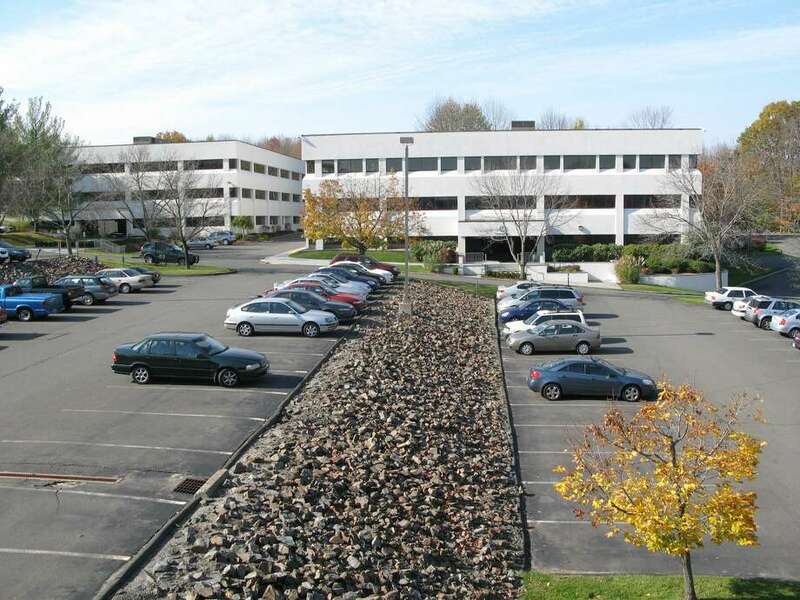 Owl Cyber Defense is moving its headquarters to 42 Old Ridgebury Road in Danbury, Conn., pictured, after years at a smaller office complex in nearby Ridgefield. A Ridgefield digital security innovator is relocating its headquarters to Danbury, after its biggest year yet providing services to the military and federal agencies, among other customers. Owl Cyber Defense Solutions will be located at 42 Old Ridgebury Road on the west side of Danbury, with the company having occupied a comparatively small office in Ridgefield at 38A Grove St. It is one of two significant digital industry innovators at the modest complex in Ridgefield along with r4 Technologies, developing artificial intelligence for the retail sector and other industries. Separately on Thursday, r4 announced a joint research effort with Cornell University. Owl Cyber Defense’s new space can accommodate 120 people, according to Maria Douich, an Owl Cyber Defense marketing communications manager, with the company having 80 employees today. Marking its 20th anniversary this year, Owl Cyber Defense has more than 2,000 installations of its technology in the field today, including with the U.S. Army, Air Force, Navy and Marine Corps; federal intelligence agencies; and commercial customers like banks and power plants. Boston-based General Electric is among the corporations using Owl Cyber Defense’s systems to monitor the performance of electric turbines it sells through its GE Power division based in Atlanta. Hackers continue to sting corporations with debilitating intrusions. Marriott International disclosed last week that personal information was exposed for many as 500 million members of its Starwood Preferred Guest program, with Starwood having been based in Stamford prior to its sale two years ago to Bethesda, Md.-based Marriott. In the Owl Cyber Defense system, tandem cards are designed to communicate only with each other, with the source card having no way to receive data and the destination card having no way to send it. That sets up a one-way flow of information and prevents any software-based attacks. Owl Cyber Defense indicates its systems have a perfect record maintaining operability in the field. Owl founder Ronald Mraz left the company last year after its sale to DC Capital Partners, and has since been a lecturer on computer science and electrical engineering at the U.S. Coast Guard Academy in New London and the State University of New York at Albany. Includes prior reporting by Paul Schott.